We all know this guy from the legendary TV show "Lost", where he played the role of Hurley, a good-hearted fella who loved to say "dude" a lot. However, there are tons of amazing facts about this guy that you never knew about, simply because you never really cared. Well, now it's time to right the wrongs and check out some awesome facts about Jorge Garcia, the man who made it to the end of the final season and was one of the most popular characters in the show, if not the most popular. Alright, so, are you ready to be amazed by Mr. Garcia? It won't take you more than 2 minutes to read through! - First things first, let's see where Jorge was born: Omaha, Nebraska. He was born on April 28, 1973, which makes him 43 years old. He joined the cast of "Lost" in 2004, so that means he was 31-32 back then. - Despite the fact that Garcia is a professional actor, he has a degree in Communication Studies. Pretty cool, right? It gets better: his buddies used to call him the "baby-faced killer", because he had a nice, kind face (still does) and was super-strong in wrestling. - One of the most awesome facts about Jorge Garcia: Hurley, his character in "Lost", wasn't originally in the script. They added him after they saw the actor in an episode of "Curb Your Enthusiasm" (he played a drug dealer). So, yeah, the role was created specifically for Jorge. - Oh, and by the way, he auditioned for the role of Sawyer once before that, but didn't get it. Can you imagine him playing Sawyer while Josh Holloway portraying Hurley? By the way, Garcia said once that Sawyer is his favorite character from the show. - Back in 2010 Weezer released an LP and called it "Hurley". The fans of the actor claimed that it was dedicated to his character in the show, and they were right! They even put him on the album cover. Hey, awesome facts about Jorge Garcia just keep coming! - Hugo Reyes (that's the "official" for Hurley) appeared in almost ALL episodes of Lost - 118 out of 121 - no other character had the same privilege. They say he even cried when they gave him the final script. 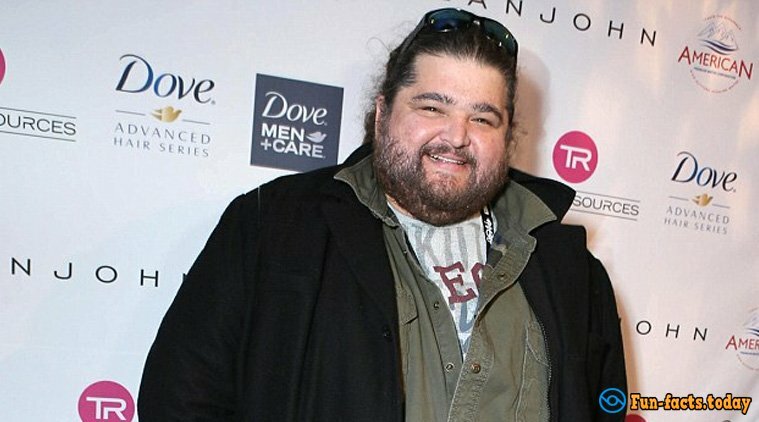 - Interesting fact about Jorge Garcia: When he got the part of Hurley in the show, he lost 30 pounds before the shooting started. He was also on a vegan diet for a while, trying to lose even more weight. - The man is not only good in acting: he also does stand-up comedy, raising money for all kinds of charity work. Makes you respect the guy, right? - Along with Lost, Garcia also starred in Once Upon A Time, Hawaii Five-0 and Alcatraz. - According to some big-time analysts, the actor has a net worth of 5 million US dollars. - Awesome fact about Jorge Garcia: he's a huge fan of music and has an impressive collection of records, owns a dog (a Chihuahua mixed-breed), loves video games and used to write a blog while Lost was in production. - Final crazy fact about the man: the whole cast of "Lost" really loved playing poker, and Jorge was one of the greatest ones at it! Hey, they played with real money!